Our electricity went out sometime between 12:00 & 3:00 am last night. Desperation caused me to heat up a pot of water by putting it over top of candles....to make coffee. 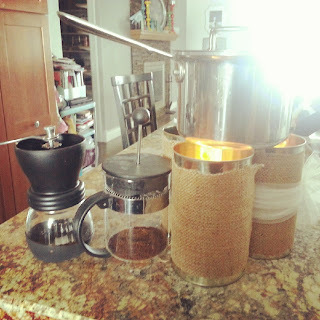 Thank God for my french press and hand crank ceramic grinder.....and my mother for teaching me to think outside the box and be resourceful!